A frequent question is whether after a knee injury, specifically a meniscal tear or injury, is can a brace be effective. In any type of trauma, whether it is from sports or a lifting injury that results in a tear of the lining of the knee joint or meniscus can result in pain, loss of function, and to various degrees debility especially if turning to a higher level of performance such as a sport continues to aggravate the underlying condition. There are certain types of meniscal tears that tend to progress and these types, it is extremely important to address factors that may decrease the stress on the knee joint to prevent further progression such as in a horizontal cleavage tear. Knee braces can help support the knee joint by unloading it, offering support from the inside and the outside by means of either metal uprights or supportive straps across the knee to provide further stability. 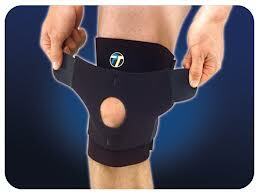 Braces can also effectively shift the ground reaction forces better geared towards the inside or medial aspect of the knee known as an adduction moment to the outside of the knee to diminish or alter the effects that may occur long-term from loading these regions specifically the medial joint in medial meniscal tears. The reverse can be accomplished with the lateral meniscal tear by altering the structure of the brace so that it shifts the stress away from the lateral aspect. As knee pain or dysfunction progresses over time, an initial early knee meniscal injury that has progressed to degeneration or have been surgically treated years out can become a progressive degenerative phenomena and at this point, a brace may have a different mechanism both unloading the knee joint apart from just trying to address the original knee meniscal tear. Dr. Lox is a rehabilitation medicine specialist and having an understanding of the knee pathology, osteoarthritis with an emphasis on maintaining an individual’s functional level or continuing them to be active in sports is important in addressing a patient’s needs but the prospect of using a knee brace for meniscal tear or degenerative arthritis. 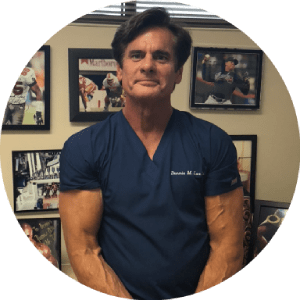 Dr. Lox also specializes in regenerative medicine and use of platelet rich plasma and stem cell therapy can be a useful treatment modality along with bracing to not only heal the patient but prevent long-term acceleration of osteoarthritic changes to the joint. The patients are often interested and Dr. Lox’s points out in preventing total joint replacement in anything that can accomplish this becomes extremely important to them.